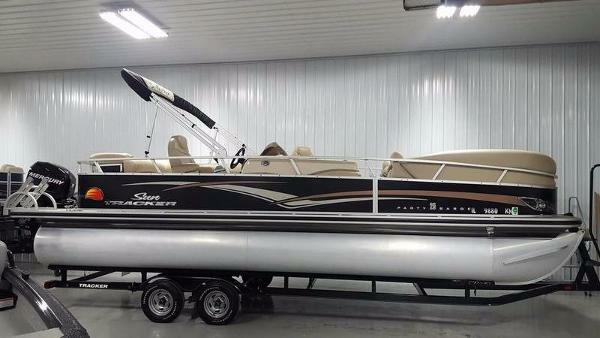 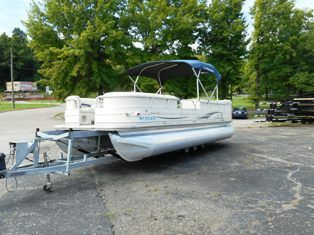 2011 Sun Tracker PARTY BARGE 25 2011 Sun Tracker Party Barge 25 90 Hp Mercury Tandem Trailer Clean boat very nice shape. 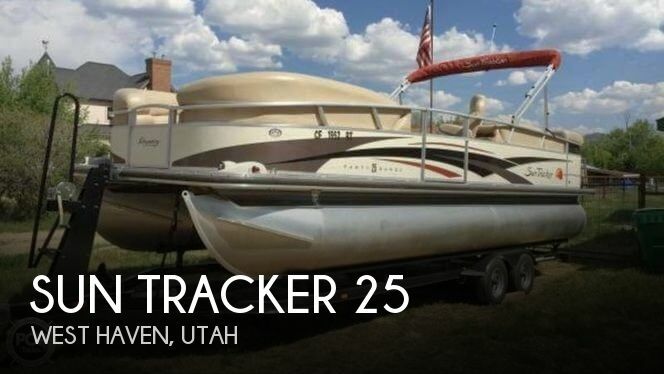 2006 Sun Tracker Party Barge 25 XP3 I/O 2006 SUN TRACKER PARTY BARGE 25 XP3 I/O REGENCY EDITION TRITOON with MERCRUISER 4.3 L 190 HP ENGINE One owner boat...New Custom Boat Cover, Dual Bimini Top, New Interior Upholstery, Depth Sounder, Aft Changing Room w/ Bench and Padded Sun Deck, Navigation Lights, Docking Lights, Tachometer, Fuel Gauge, Water Temperature, Trim Gauge, Oil, Sink w/ Counter, Fresh and Waste Water Storage, 3 Pontoon Tubes, AM/FM CD Stereo and 4 Directional Speakers, Tandem Axle Trailer with 2 Spare Tire/Wheels Included in the boat is: Anchor with Rope, Life Vests and BBQ With enough room to hold up to 14 people and a strong Mercruiser I/O engine, this Tritoon boat is definately ready for a party on the water. 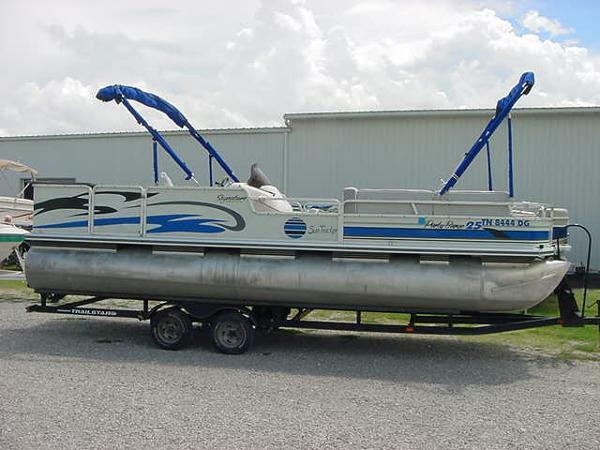 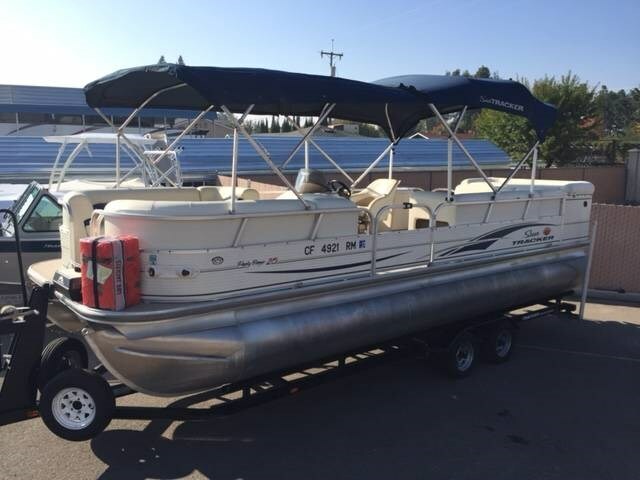 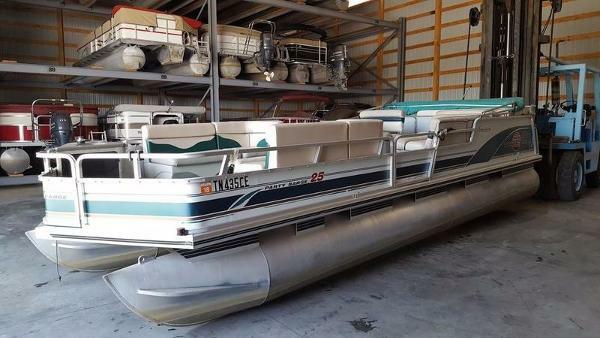 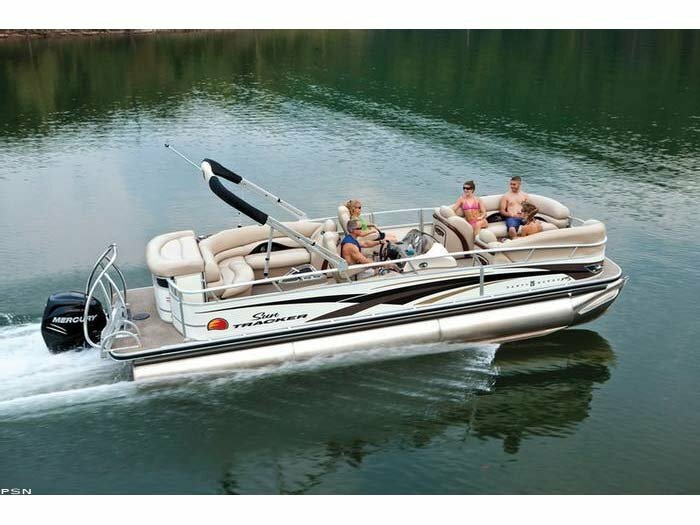 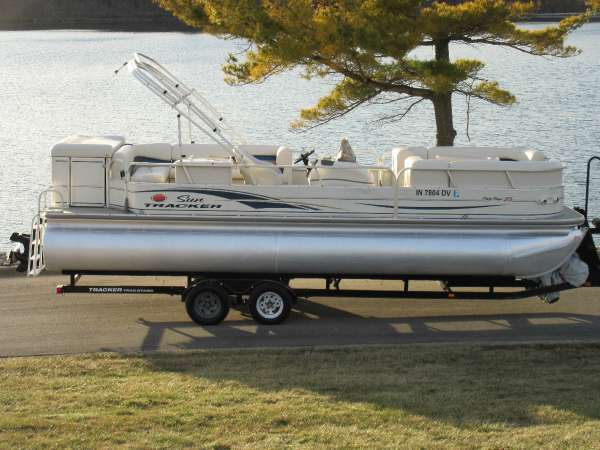 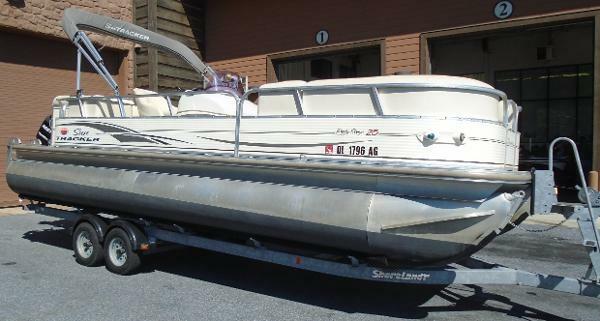 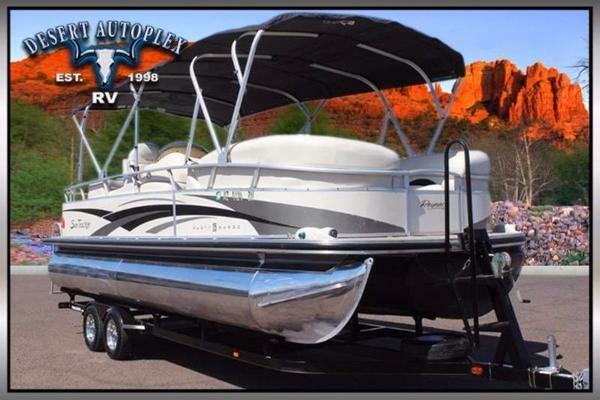 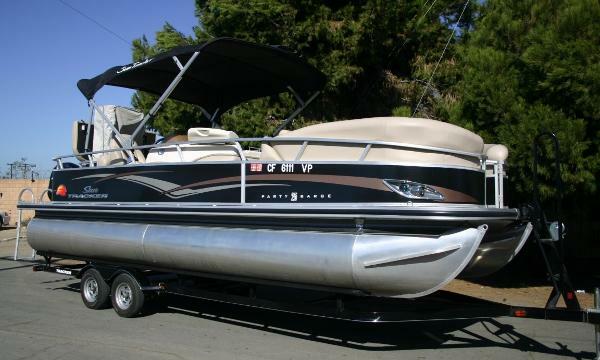 2000 Sun Tracker Party Barge 25 Sig Series Our Sun Tracker Signature Series Party Barge comes with a 120HP Mercury Force Motor and a Tracker Trail Star Tandem Trailer with brakes. 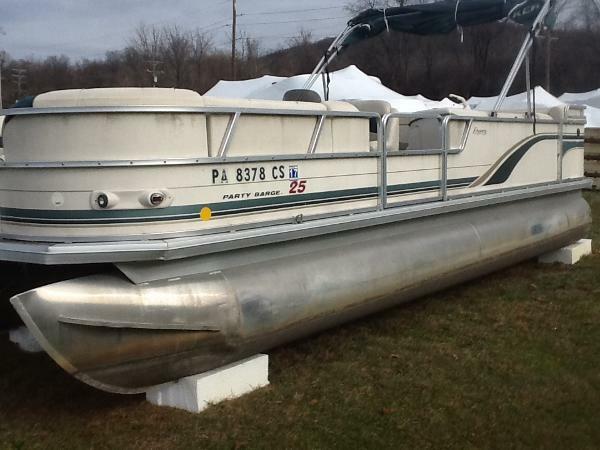 It has a complete double enclosure, a full gauge panel on the helm station and docking lights. 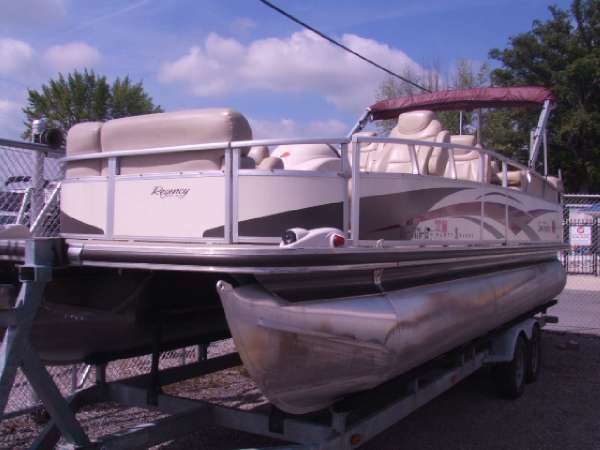 As you can see in the photographs, this is a very clean pontoon that has been well kept, plus the motor runs great. 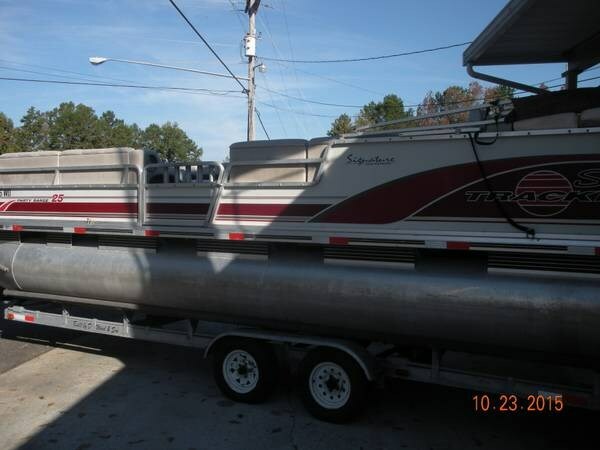 Call Sandy now at 606--561--4949. 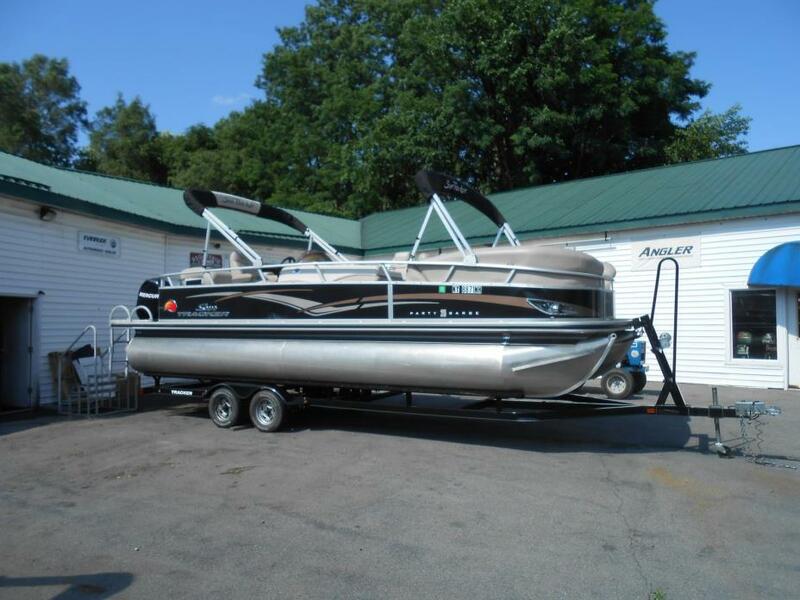 In the evenings and on Sundays, call 606--219--1426 and email anytime!